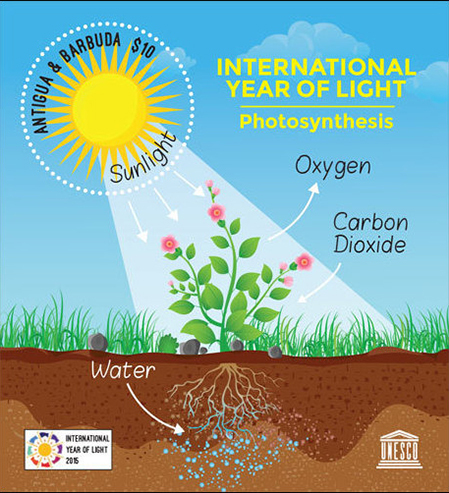 The countdown has already started: we are on the final 100 days of the International Year of Light and Light-based Technologies (IYL 2015). So far, the IYL 2015 has already reached over a hundred countries and millions of people worldwide with activities taking place on all continents. 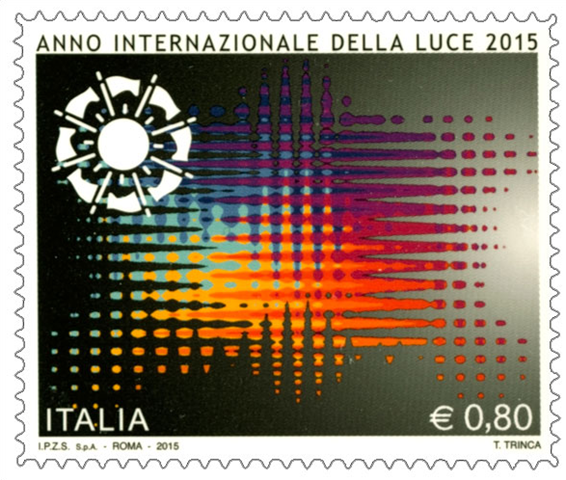 Light is pervasive and inspiring and many people around the world has channeled their inspiration to promote IYL 2015 in many artistic ways to reach out wider crowds. The Light Painting World Alliance (LPWA) contributed to a community art experience by using light to paint the IYL 2015 logo on Plaza de la Gesta in Oviedo, Spain. Credit: LPWA. On July 2014, as part of the First International LightArt Congress City of Oviedo, the Light Painting World Alliance (LPWA) contributed to a community art experience by using light to paint the IYL 2015 logo on Plaza de la Gesta in Oviedo, Spain. Switching on the lights on the Downing Street Christmas tree not only marked the festive season in the UK, but also signalled the lead-up to the IYL 2015. A trio of lights was placed on the Downing Street tree on December 9th to mark the coming year. 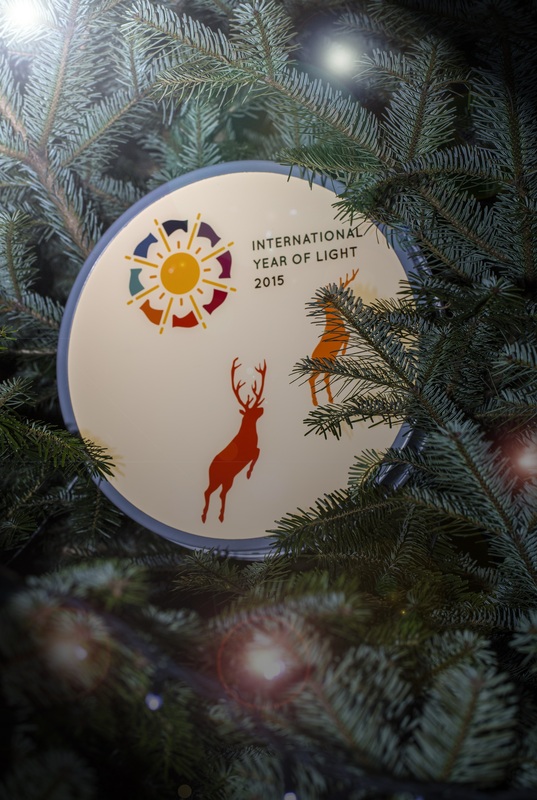 The lights feature a seasonal interpretation of the IYL 2015 symbol – a parade of reindeer in a spectrum of colours that is also used in the IYL’s Sun logo. IYL 2015 Christmas light. Credits: John O’Brien. 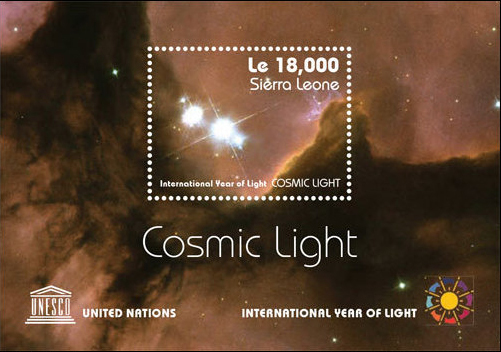 You can find more IYL 2015 stamps here. The IYL 2015 Spanish node made another interesting initiative to reach out unexpected crowds, they placed the IYL 2015 logo on the Spanish National Lottery tickets on August 15th. 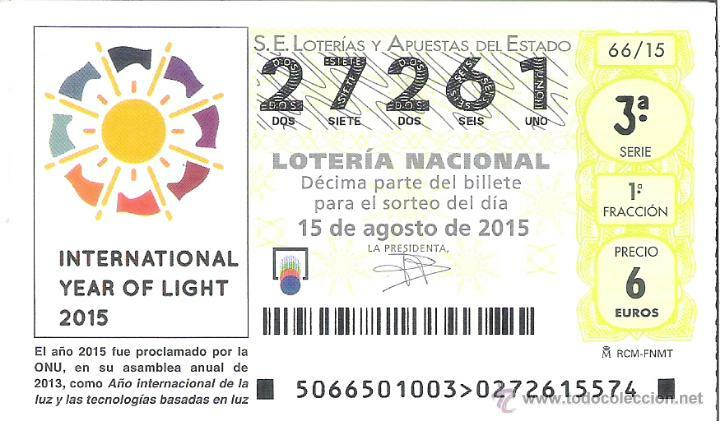 Spanish National Lottery ticket on August 15th featuring the IYL 2015 logo. Credit: National Spanish Lottery. PhD students Oleg Borisov and Vladislav Gromov, following the idea from Dr. Ana Luisa Simões Gamboa, from the Adaptive and Non-linear Control Systems Lab at ITMO University, St. Petersburg, Russia, communicated the wave of enthusiasm of the Year of Light to one of their robotic systems and had their Festo robotic cell with vision system based on the manipulator Mitsubishi RV-3SDB draw the IYL 2015 logo. Step into the Light is an original composition urging the citizens of the world to step up and help to spread the message about the importance of light and optical technologies in their lives, for their futures, and for the development of society. The song combines a number of different styles from around the world to create a unique and original anthem for the year. The song has a chorus based on a simple melody and the composers are asking interested groups around the world to get involved. One way to participate is to record yourself singing this chorus in your own language and with your choice of traditional instruments. We will collate all contributions into a special recording for the end of the International Year and this will be your chance to have your contribution preserved for history! 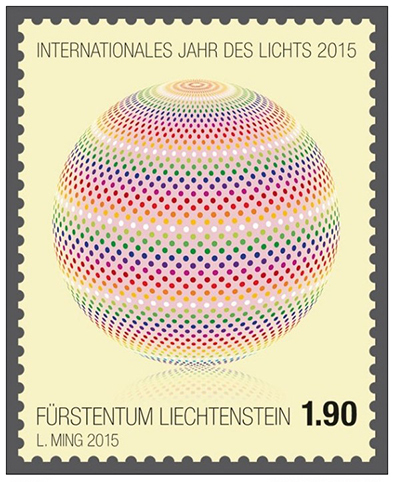 Rainbow Of Light is supporting UNESCO in their IYL 2015. The mystery of the universe is still with the human race. Will the rainbow provide the answers we are looking for? International soprano Katerina Mina sings this song with true meaning. Composed by UK songwriter Linda Lamon. In addition, Blue Nile musician PJ Moore feel the need to prepare an electronic oratorio for James Clerk Maxwell during IYL 2015. Finally, IYL 2015 was also part of the inspiration to design a series of limited edition Art Label bottles for Campari. These are just some examples of artistics initiatives to reach out wider crowds. Do you know more? 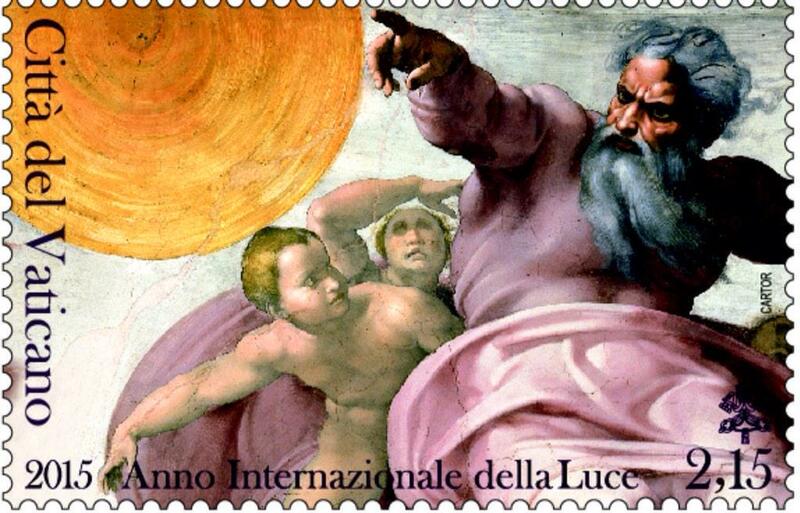 Send them to us by email or share it on Twitter/Facebook with hashtag #IYL2015.